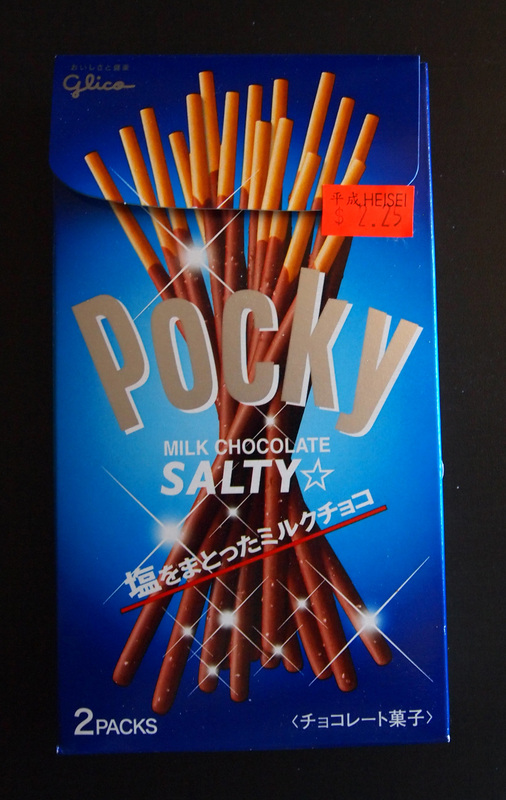 Review: Pocky Milk Chocolate Salty | Oyatsu Break! 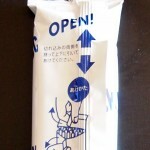 It’s probably some sort of sin of Japanese snack-food reviewing, but I’ve gotten dozens of reviews into this blog and this is the first brand of Pocky that I’ve tackled…! 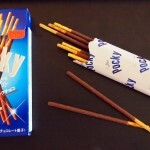 For those not in the know, Pocky is probably the best known Japanese candy in North America, a cookie/cracker stick, dipped in milk chocolate. 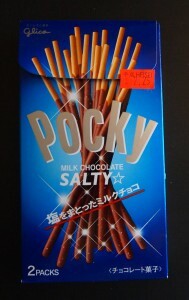 There are hundreds of variations on Pocky now though, and a visit to any Asian supermarket or candy importer will reveal at least 6 versions on sale at any given time–though well-stocked stores will sometimes have 2-3 times that number on the shelves. 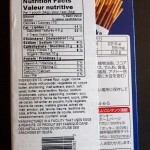 Packaging: There are all sorts of presentations of Pocky, but the basic set-up is a cardboard box which opens on the top, a picture of the type of Pocky on the outside, and 1 or 2 foil-wrapped packages of les batons chocolat (for freshness and portion control!) contained within. This one hews very carefully to the standard, though the box-top opening with a scoop-cut neck (heh) and fold-over lid was new to me. Also new? 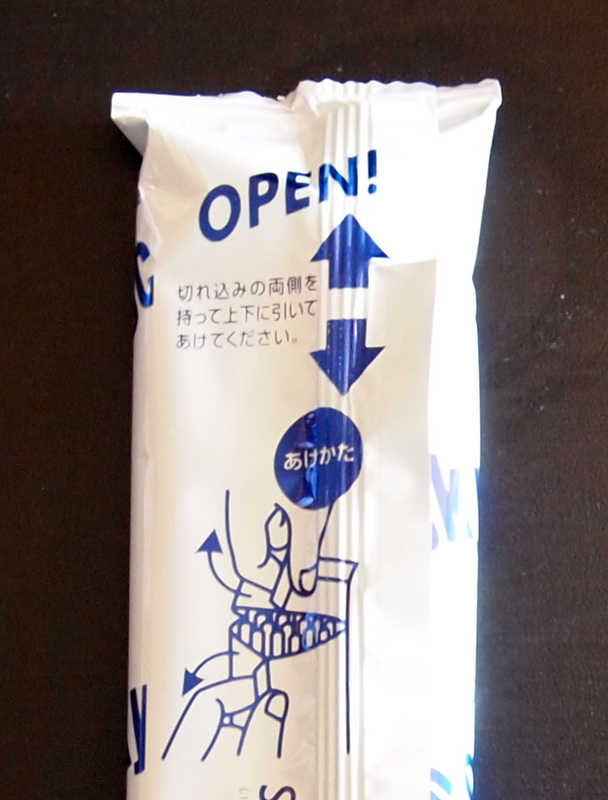 A whole new way to open the foil packages, just a pinch-and-pull rather than trying to tear into them like a bag of chips. 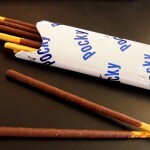 No more broken/crushed Pocky! All in all it’s straightforward, attractive, and well desgined. 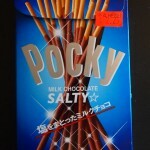 The salt crystals in the product image glitter like Swarovski, silver ink used on the Pocky lkogo. Really well-conceived and executed. Scent: It’s a strongly scented product, that’s for sure. I often feel with Pocky that the scent is a big part of the experience, because the actual act of eating them is so insubstantial. A little chocolate-dipped stick, only 5 mm thick, it’s a much different experience than biting into a snickers bar. Consequently, the aroma has to pack a bunch because it lingers between bites, and sticks. As for this one, it’s a strong milk chocolate scent, actually a bit darker than I was expecting. I don’t know if that’s the salt, but it does smell a lot richer than the other milk chocolate I’ve been eating lately. 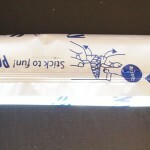 Taste: The idea of adding salt to chocolate or caramel to enrich the flavour isn’t a new one, but it is seemingly one that’s just occurred to Glico. They were smart to wait though, as choclatiers the world over have worked out the kinks and this is a very balanced, enjoyable bite. The appearance is a bit duller than the box would imply, and the salt doesn’t shine, but I dig it. Taking a bite of the chocolate-covered bits and just letting it roll around in your mouth, you get a real sense of how salty (and chocolatey) it really is. If the whole taste was just this, it’d be far too salty and overpowering to have even 2 or 3, let alone a whole box of them. Luckily the cookie/cracker centre is sort of neutral, and consists of like 60 or 70% of the snack, and the whole thing tastes great in a “did I really just finish the whole package?” kind of a way. 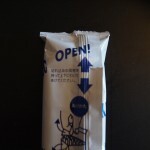 It also dials back the sweetness a great deal from regular Pocky, and that in and of itself is a rare thing (I was always a Pretz man, myself, growing up). Verdict: Nice job, Glico. Although it seems to be faint praise for not messing up a candy release, I’ve had quite a few disappointing candies lately and it’s nice to see someone doing something relatively new (in the world of mass-market chocolate anyway) and doing a solid job of it. While it certainly won’t fool anyone jonesing for a sea-salt chocolate truffle, it’s a cheap and cheerful alternative for snacktime. Oooh… Maybe time to make a trip up. I love salted chocolate! 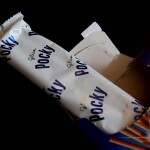 I’m still sad that they discontinued my favourite: Pocky G.
Have you tried the 冬のくちどけ Pocky? It is amazing – the chocolate melts in your mouth! 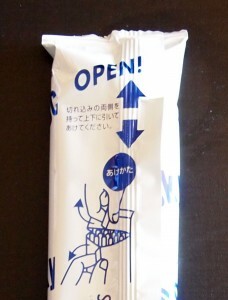 (it’s like Melty Kiss on a stick) It came highly recommended from the owner at Sanko convenience store on Queen St. I think that should be one to review for sure! I’ll give it a shot, thanks for the recommendation Audrey!